A person is lucky indeed if he can stumble upon an interest that will last a lifetime and that is ever fresh with constantly evolving ideas, techniques and equipment. Astronomy is one such interest and I was fortunate to find it at a comparatively early age. It is now nearly fifty years ago that I started on this fascinating journey and this website chronicles that journey in some small way. But the journey is not yet complete. There is so much more to explore. 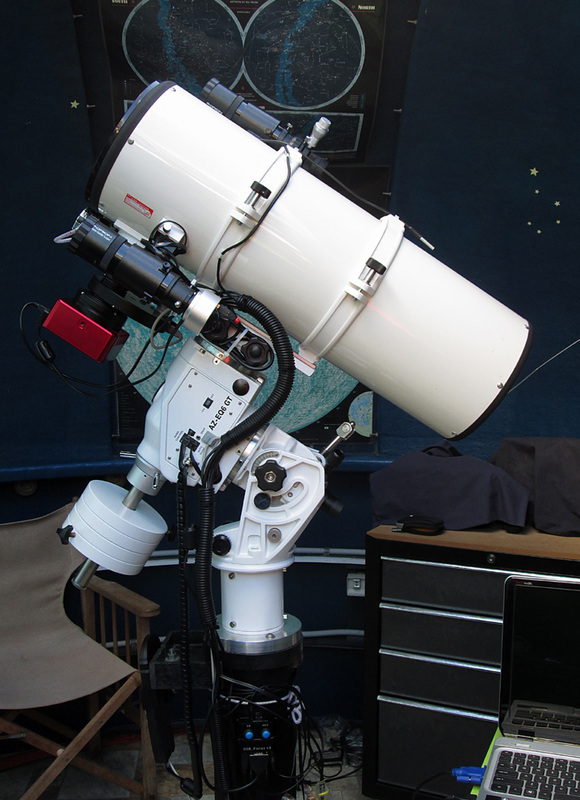 In recent times the main emphasis was on CCD camera imaging of deep-sky objects. However, the allure of simple video viewing/imaging using a CMOS colour camera has been difficult to resist, especially since it offers an easy way to share this interest with others who may be less familiar with the night sky. You may find something of interest here. I hope that you do.